As common courtesy, I shall extend my praising hand towards a few bloggers who have intrigued (and shamed) me with their writings. I suppose I left it boiling there long enough, so I could use this opportunity to write a few notes about this blog’s 1st birthday as well. I would like to extend my thanks to YahariBento for the nomination. In a decision that is SO me, I would also like to take this opportunity to tell a few stories about myself. (1.) I am what you might call a individual blessed with ‘firsts’: I am the first family member ever to grow beyond young adulthood outside my home country. I am also the first child in my family to be born above the poverty line, so to speak. While my family came from a rather remote village near Chongqing, I was born in the city of Xichang, after my mum’s achievements in university (which in itself is a remarkable feat, considering gender limitations and the family social status; grandma and grandpa sweat blood and tears to get her there too) managed to secure honours in her studies and a stable job, officially becoming the person to finally bring the family out of poverty. So essentially, I’m the first child to be born without any experience of poverty. Now, while my third uncle (Mum’s youngest brother) is also doing well with a high ranking position in his firm, as well as fathering a daughter who’s…ridiculously multi-talented (personal observation, can’t say I don’t envy my youngest cousin in that regard), Mum again became the first in the family to begin a new life overseas, with the hopes of getting me a less stressful educational environment, since I apparently showed early signs of talent in areas that are not so well-regarded in the academia-centric nature of China’s education program. In short, I have to live with the fact that I reaped the fruits of my parents’ labour: I will realistically never have the excuse to complain about basically anything in regards to hardships. Can’t say there aren’t days when I feel I will never overcome this monumental ribbon of ‘being born with a silver spoon in my mouth’. (2.) I began playing the piano at the age of 4, when my Mum interpreted my infant self’s enthusiastic thumping on a family friend’s piano as showing musical interest. She wasn’t wrong in that regard I guess. All my teachers pointed out my rather eccentric style of performing: for a child who spent 8 years in China’s rather strict and technique-stressing musical programs, I displayed an almost rebellious amount of individualistic spirit in playing piano pieces. I promptly ignored the sheet music’s notations, instead preferring to go about interpreting the pieces on my own. As a result, I am a guaranteed bust for piano competitions. Instead, if you give me a Chopin piece, I just might dazzle the audience instead, while leaving the judges outraged about apparently making the composer turn in his grave. (3.) I am not a high achiever in academics, in contrast to my high-achieving mother. I lack the capacity to stay focused for long on subjects that I no interest in. So there goes Maths, Chemistry and Physics, subjects where I should…stereotypically dominate. Thank god Mum had the thought of getting me to Sydney. Actually…this fact have been bothering me for about a decade now: with my academic achievements, I wouldn’t get past year 10 in China. Yet right now, with my only above average high school uni entrance exam results, I’m sitting comfortably with a prospect of gaining a double bachelor’s degree in a highly renowned university, while my old classmates back in China might’ve struggled with placements in some run-of-the-mill campus instead, despite no doubt having studied 100 times more harder than me. I live with a variation of survivor’s guilt in that regard; my privilege is my source of heartache. (4.) I’ve never actually held a job that’s paid in fixed salaries. No holiday gigs at McDonalds or at Walmart or something like that. I mainly got by holidays without earning much money back in high school. I’ve done a few odd jobs like packaging at factories, putting flyers into letterboxes and a few photography gigs at events, but that’s about it. This year, after landing a job as a creative content writer for a firm, I’m hoping this boost on my resume would get me a few prospects of perhaps getting some full-time positions. (5.) I’ve only been an anime fan for 2 years. Hey, it’s 2014. My last HSC exam is done, as well as my high school years. I got my brand new Xbox One I just bought from a CBD EB Games, I struggled home with a twisted ankle after stupidly jumping over the school fence; impatient about waiting for the gatekeeper to open the gate (since my exam ended 2 hours before the school day ends, and year 12 exam attendees were allowed to leave early). I got home, too worn out to set the console up. I still don’t know why I agreed to take that trip to the city when my leg’s already refusing to handle my weight. After icing my leg, I sat at my PC. “I should try out that anime everyone’s talking about.” I thought. I typed in ‘popular anime in 2014’ on Google. Sword Art Online popped up. Guess what I watched for the entire afternoon? (6.) I am PROBABLY the biggest fan of orchestral music you will ever find this side of not actually not really knowing much about it, in terms of compositional processes and the technical stuff behind it. Symphonies, piano concertos, nocturnes, film music, you name them. You can say I have an artistic handicap that prevents me from EVER like the hip new stuff: I dislike mainstream Pop, I can’t stand rock 90% of the time, I think country vocals sound funny, I never seem to be able to ‘get’ rap. You will occasionally find me liking songs of these genres, but it’s usually because I dig the melody behind the singing instead. For instance, I fell in love with ‘FLIP FLAP FLIP FLAP’ because the melody sounded so charmingly Gothic. And they had chines, flutes, strings and BLOODY BASSOONS in the instrumentals. WHAT J-POP song has those nowadays?! Frog-kun: you are probably one of the first bloggers I started conversing with since joining the aniblogosphere/anitwitter. 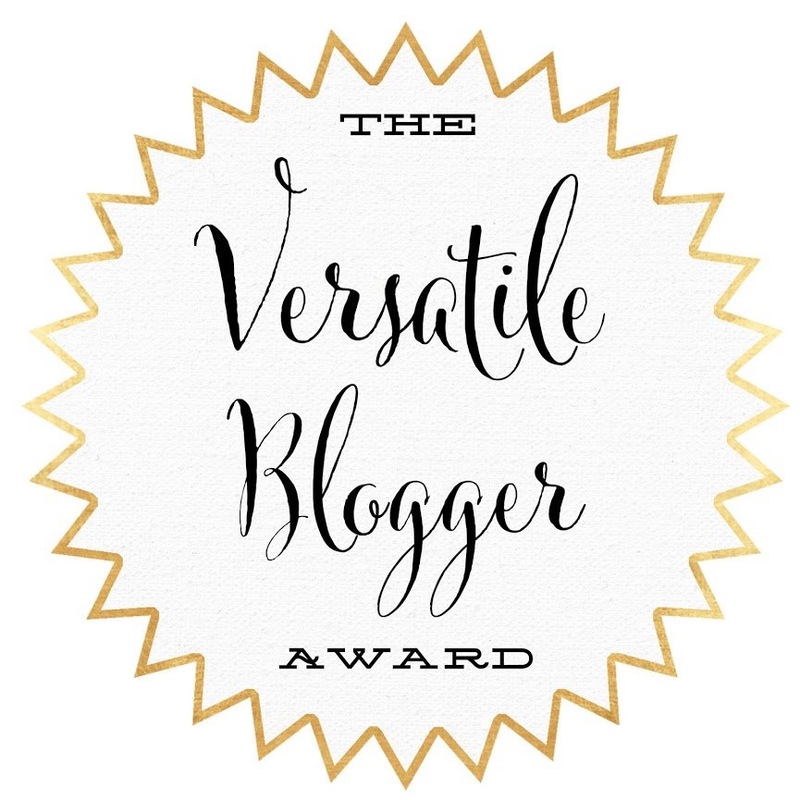 I realise how little regard you have for this blogger award thing, but hey…I just want to hear 7 interesting stories about yourself. Plus, your advocacy for light novels is…moe. Take this as my most official gesture for comradeship thus far. zerojustice315: While I can’t say I don’t enjoy your writing, I live (and love) to watch you…entertain on Twitter. karice: The other blogger I think I got into close contact with the earliest. Funny how it was over anime sound design (a thing I have interest in due to its novelty, but not exactly something I have expert knowledge in). blautoothdmand: Perhaps the most sincere recommendation for readers to check out his content. A lot of insightful publications that just might extend your horizons on some subjects you thought you knew so well. I realise that two members here are already nominated, but as someone who’s new to this, I feel I’ve enough obligation to advocate for individuals I respect. Repeatedly. So. One year anniversary for ATMA & Funomena: a sudden passion project that bloomed out of…basically boredom. I wouldn’t say I have the knowledge nor capacity to extend this site’s reach for the time being, but with the decision of opening myself up to podcast invitations in the future, and even some lingering prospects of perhaps opening up my own YouTube channel, I think this brand of mine will be here to stay. For the foreseeable future, I don’t see myself going anyway but up with the blog: improved writing, more focus on anime. Future hopes: I want to learn Japanese, I want to learn video editing, I want to learn how to draw. Three big dreams that require a personality and persistence that I just don’t have (you know how I am with procrastination). But hey, maybe one day a moment like me opening a new blog on a whim might happen again. Until then. A quick toast to this blog for surviving a year beyond its inception. About the feeling of guilt of being born privileged, I totally get you. My mother also came to Australia as an immigrant, and she has a lot of stories about all the tough times she faced in the Philippines. My attitude is — privilege ain’t a bad thing, because life ain’t a zero sum game. You don’t have to feel bad being born in more fortunate circumstances, and you don’t have to feel that you have nothing to complain about, just because other people have it worse than you. Your feelings are important too. Man you gotta stop worrying about people taking your comments the wrong way: even for a recovering addict when it comes to distrusting others’ comments about them, I detect nothing but good stuff here. I hope you do post something, even if you’re not keen about the awards thing (neither was I TBH, but hey…like a grandpa who saw an opportunity to sprout some ‘back in my day’s…I rolled with it). Currently listening to the OST. I can totally appreciate its orchestrations, though I’m unsure of its potential as a regular listening experience. You know me: swashbuckling, heroic and epic symphonies are my thing; and Bloodborne’s soundscape is no doubt complex and intelligent, but it’s oppressive and darkly Gothic; definitely not my favoured brand of game music. HOWEVER, I can hear a lot of similarities with Oscar Araujo’s Castlevania OST’s…and they are game music albums that I ADORE (Listen to Castlevania 2’s ‘The Toy Maker’ track); something that’s admittedly out of character for me. So maybe like Castlevania; a game series I never touched but love the music to, Bloodborne will be another. I’m not equipped with the appropriate words to describe it but I guess what I love the most about the OST is how it became viscerally interlaced with the experiences I had from battling a boss — specifically Ludwig’s theme. Damn that shift at the middle had me like @___@ and I almost forgot that we’re still fighting. Like, the longer your battle drags on, the more the tune becomes sorta your warcry rather than the enemy’s attempt at intimidation.